1. "Bible Interpretations that Bring Forth Extremist Fundamentalism"
2. 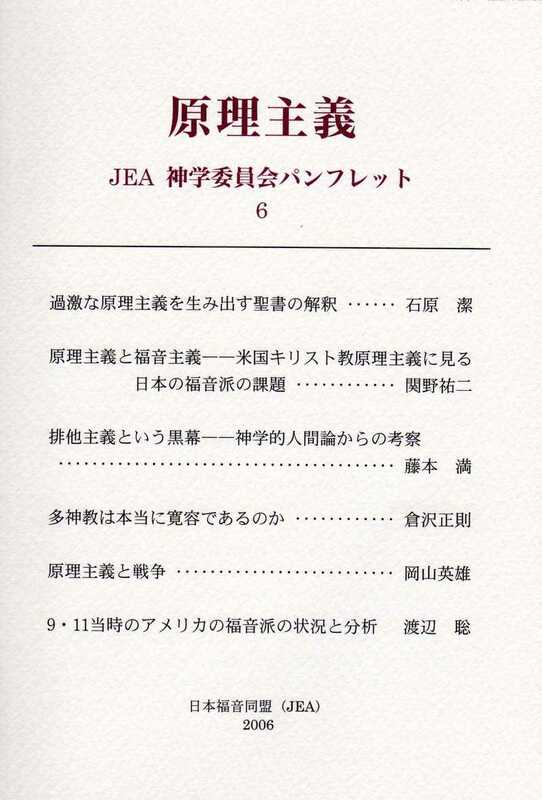 "Fundamentalism and Evangelicalism: Issues for Japanese Evangelicalism—Looking at Fundamentalism in American Christianity"
3. "The Exclusion Principle as a Black Curtain: An Inquiry from Theological Anthropology"
4. "Is Polytheism Really Tolerant?" 6. "9/11 and the American Evangelical Church: An Observation and Analysis"
This section of iTheology.net offers the English speaking world a glimpse of one Japanese publication: "Fundamentalism. 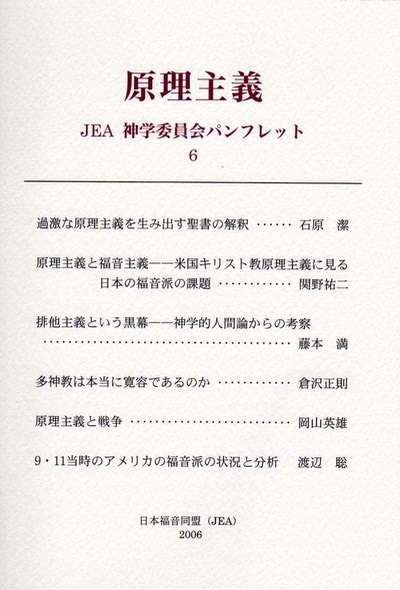 Japan Evangelical Association Theological Commission Pamphlet 6" (May 2006). This publication by JEA (equivalent to the National Association of Evangelicals (US) and the Evangelical Fellowship of Canada) was a response to the American 9/11 tragedy of 2001. iTheology.net offers an English translation of the publicaiton, along with a few responses. The term “fundamentalism" is most commonly used in this Japanese publication to mean all American evangelicals and fundamentalists. 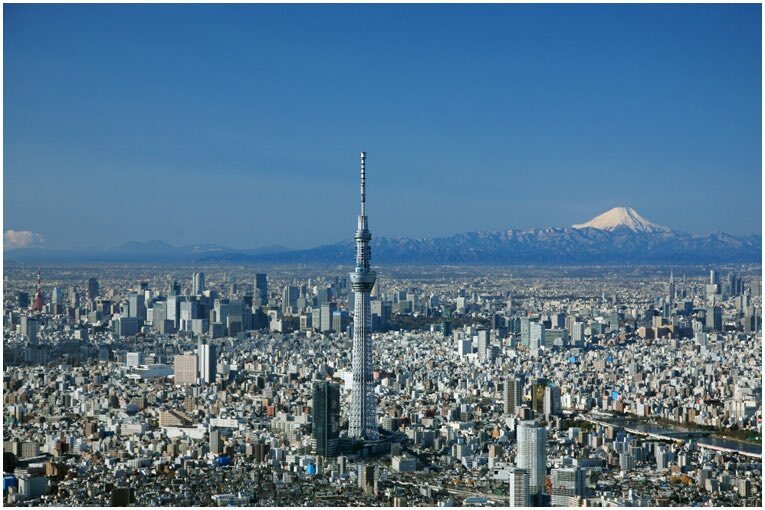 The publication is an attempt to distance Japanese evangelicals from American evangelicals and fundamentalists who who in general are seen to take an unfortunate fundamentalist pro-war stance. Interested? Read on, and experience some cross-cultural theology! NOTE: These pages of iTheology.net are linked on japanharvest.org, the online version of Japan Evangelical Missionary Association’s quarterly magazine.